TheCoasterKid211 wrote: ^ Star Wars usually starts when the park closes. And I didn't know the park only closes at 8:30... probably because of Animal Kingdom's late operating times? Got me. Kinda odd that a park that cost's $100 to get into closes as early as it does. We were able to score some good fast passes for the park, so hopefully that works in our favor to get thru all the attractions in time(and several rides on tower). We just have to figure out how we are going to juggle fantasmic and the star wars fireworks. In April, we celebrated the official groundbreaking of Star Wars-themed lands coming to Disneyland and Walt Disney World Resorts, and beginning today, Disneyland park guests can get a glimpse of this exciting and immersive experience. A new image has been unveiled on the fence along Big Thunder Trail in Frontierland – one of the entry points to this never-before-seen planet in the Star Wars galaxy – revealing more about what guests will find in this all-new land. Nestled between towering spires of rock, this thriving port contains a seemingly familiar architecture of markets, landing zones and buildings. Click here for a larger version of the image above. Look closely and you may find hints of some of the thrilling experiences that are coming – like the Millennium Falcon peeking out of one of the cargo bays, marking the location where guests will get the opportunity to pilot the fastest hunk of junk in the galaxy. The 14-acre land will be the largest-ever single-themed land expansion at Disneyland Resort. Keep an eye on the Disney Parks Blog – we’ll continue to bring you updates as we learn more about this planet, as well as the citizens, aliens and droids who populate it. Keep in mind, this concept art is specifically for the Disneyland version of the themed land, taking into consideration its interaction with the neighboring Frontierland and Big Thunder Trail. 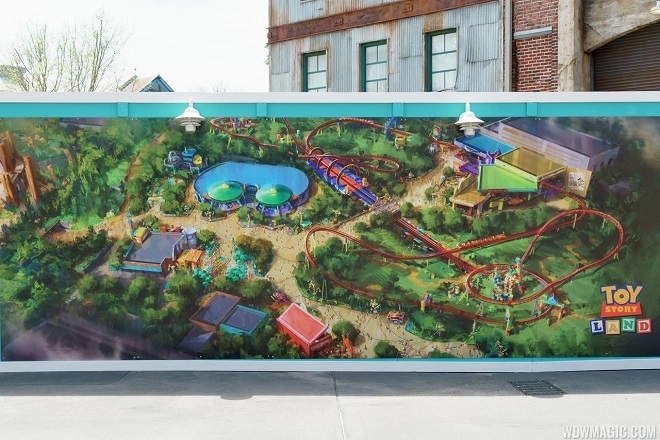 Disney's Hollywood Studios will likely feature a slightly different configuration and entrance portals to better transition guests from Toy Story Land and Commissary Lane. 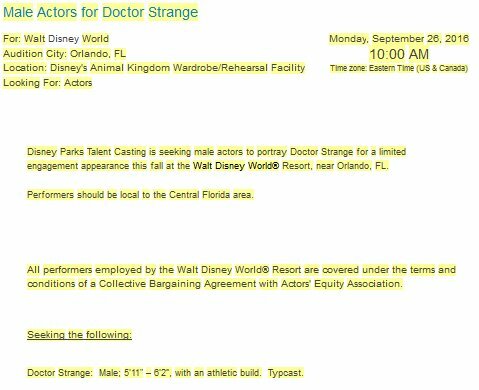 A casting call has gone out for Doctor Strange appearance at WDW in the fall, presumably at DHS. Have they posted when the star wars fire works show ends? which apparently came out where the new Toy Story Land would be? Or is this wrong? All subject to change, of course. ^Yes, that art is specifically for DHS. Today, we’re unveiling a stunning new image from Walt Disney Imagineering that shows just how amazing the Star Wars-themed land at Disney’s Hollywood Studios in Orlando, Fla., will look once the sun goes down. As you can see, the land will take on a whole new dimension after dark and feature adventures and surprises around each corner. 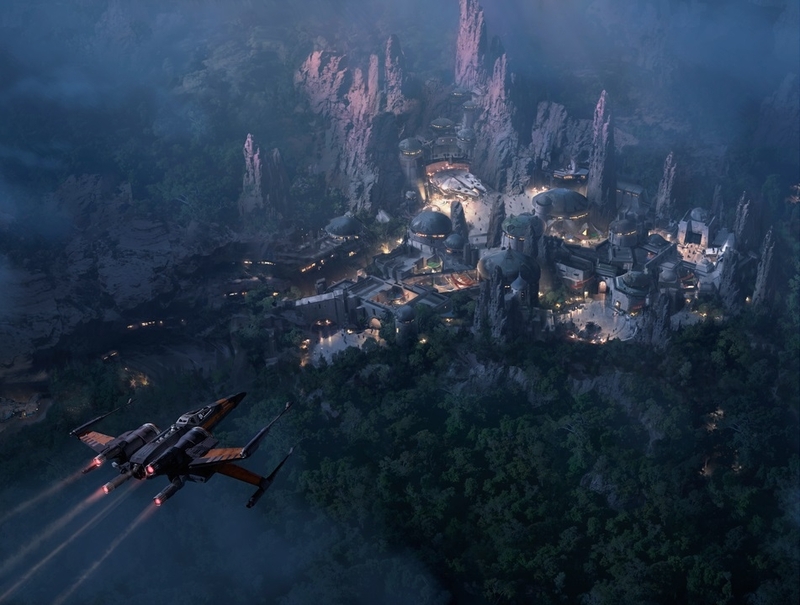 If you look close, the image reveals a peek at what you’ll discover in this all-new land located in the southwest corner of Disney’s Hollywood Studios, including one of the signature attractions that lets you take the controls of the Millennium Falcon. We’re also excited to share an update that work is already underway at Disney’s Hollywood Studios and Disneyland park in Anaheim, Calif., to bring the stories from a galaxy, far, far away to life in the parks. 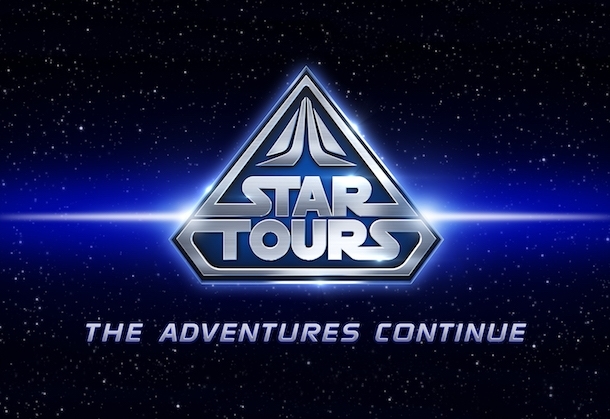 During a D23: Destination D presentation today, Walt Disney Parks & Resorts Chairman Bob Chapek also shared that – for the first time – we are adding a new adventure to the Star Tours – the Adventures Continue attraction. Walt Disney Imagineering and Lucasfilm teams are currently in production to add an exciting new mission to the attraction based on elements from Star Wars Episode VIII. 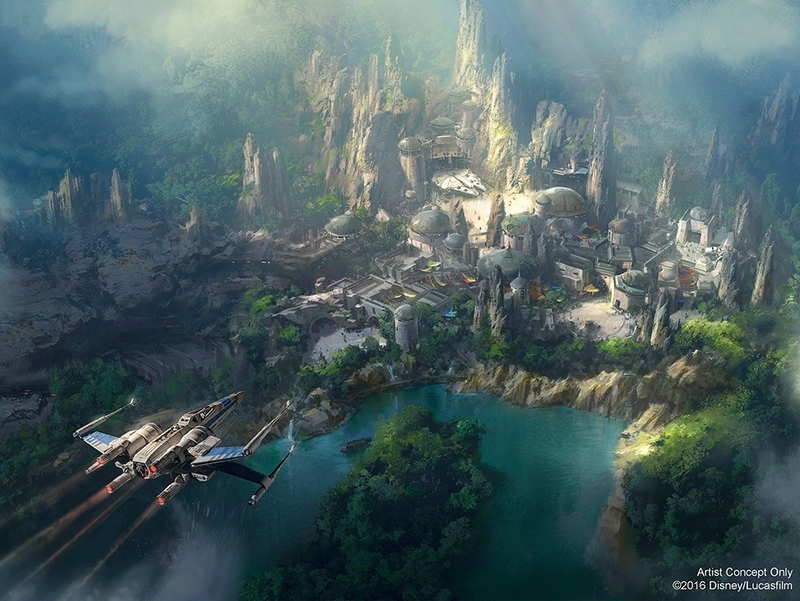 There will be more to share on Star Wars-themed lands coming to Disneyland and Walt Disney World Resorts as well as Star Tours in the future. Keep checking the Disney Parks Blog for updates. Glad to see them adding more. When exactly does 'avatar land' 'toy story land' and 'star wars land' open? ^ I have heard or read nothing that suggests "exactly" when any of these attractions and lands open. with no specific month/date mentioned. And nothing of either SWL or TSL in Hollywood Studios has been mentioned yet, as to when they will open.